It has arrived! 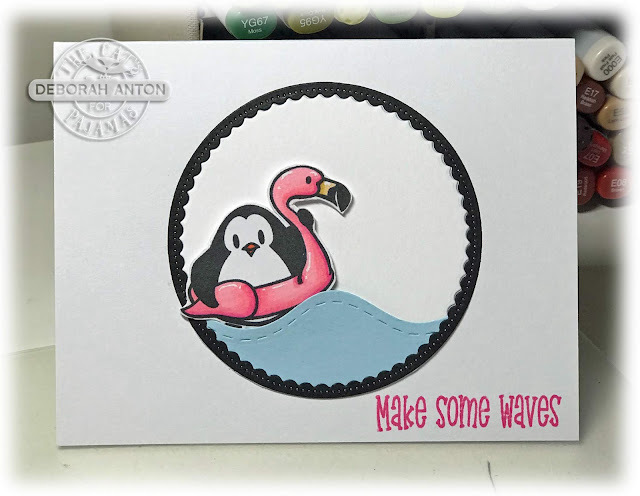 The Cat's Pajamas Stamps June release and Blog Hop! If you arrived from the fabulous Michele, you are in the right place. If not, head back over to Lynn's blog to start. The sneaky peeks were knocked out of the park by the Cat Pack and hope you have your list ready to grab all those you loved. 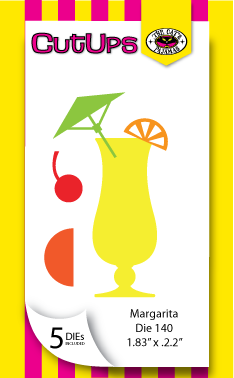 I have two fun hop cards to share with you all and this month I kept it clean and simple. I just love all the new release images and Cut-Ups that I wanted to showcase them the best I could. For my first card, I am using the new set of Penguin Summer and the new Going Round and Round Cut-up. I colored the image with Copics and fussy cut around it. 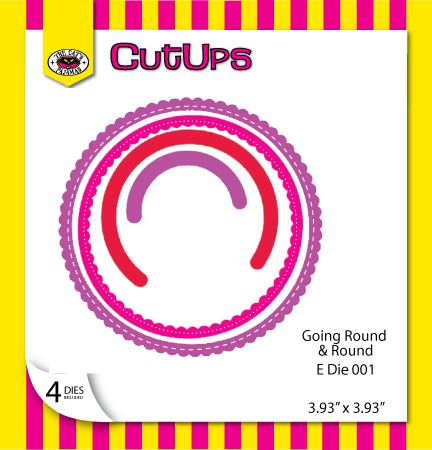 For the wave, I am using the TCP Cut-Up of Wavy Stitched Border and attached it to the Going Round and Round Cut Up. The sentiment was stamped directly onto the card base. For my second card, I decided to combine two different Cut-Ups to create the outcome sentiment. 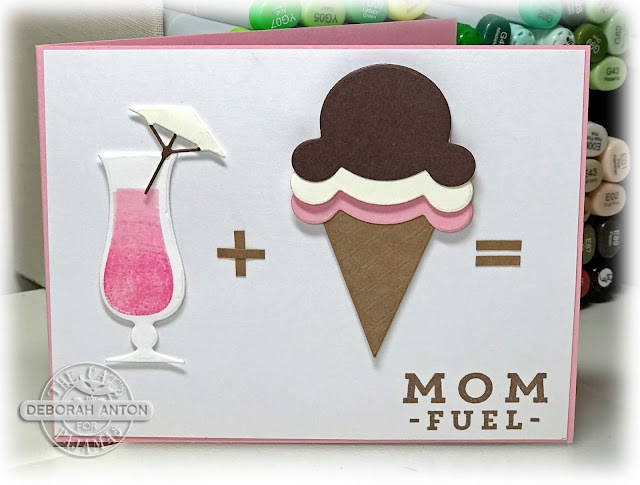 I think it's fair to say that both a yummy drink and some yummy ice cream is mom fuel for sure! 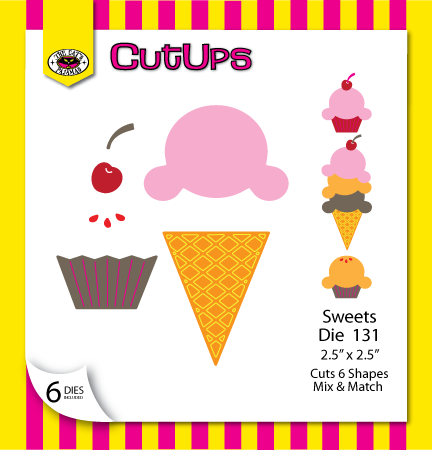 :) I cut out each and made my + and = from some scratch cardstock. The sentiment came from the fab set of Need Glasses which happens to be the freebie in the TCP store when you spent more than $60! 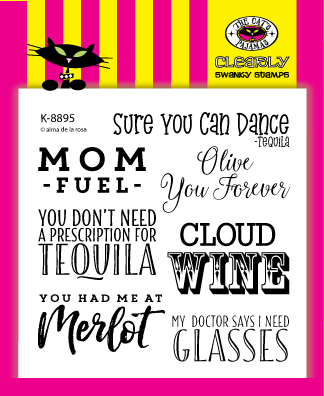 This set has so many great sayings to be used on that perfect card or gift. Now, be sure to finish you hop from here to the fabulous Alma's blog! Thanks for stopping by! Awesome CAS projects Deborah. We all need mom fuel! 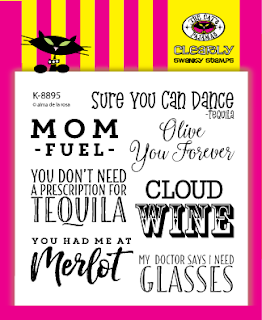 I love the Mom Fuel card, it is in a word, BRILLIANT! Great makes, Deborah. LOVE the CAS designs. So graphic and wonderfully colored. My mom would certainly agree with your second card! AWW these cards are just sooo SWEET! I especially like the second one! Mom Fuel! haha! So truly needed! Just so FANTASTIC!